What’s the stupidest part of this cover? 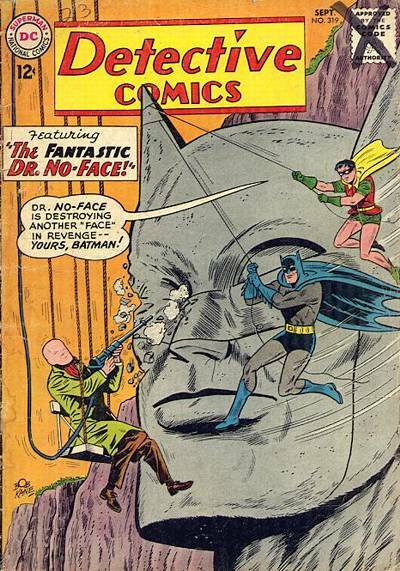 Batman inexplicably has his face carved into a mountainside. The best revenge No-Face can devise is to deface a rock. Dr. No-Face’s chair is suspended from nothing, whereas Batman and Robin’s jumplines actually have an anchor point for once.